After mass protests from truck drivers and others Russians upset at tax policy, Moscow seems desperate to drive more revenue into the Kremlin’s coffers. Western sanctions and a precipitous drop in the price of crude oil on international markets, in spite of OPEC and Russia’s attempts to talk up it up, are hurting Russia’s ability to drive national policy and blowing holes in the Federal budget. Russia’s Finance Ministry now seems determined to find ways to squeeze more tax revenue from the Russian economy. This comes on a raft of creative ways to bring in funds, such as a reported repo of a large stake in the Russian crown jewel, Rosneft, to Qatar, and other privatizations. Since market conditions are preventing further sales, Moscow has decided to ask Russians to tighten their belt further. International and domestic demand for additional bonds is also proving difficult. “It would be difficult to rely solely on internal investors without raising borrowing costs,” said Russian Finance Minister Anton Siluanov, reported Reuters. “If there were no such limitations, sanctions, if companies’ valuation were not clearly underrated, then the privatization would go on more actively,” Siluanov said. 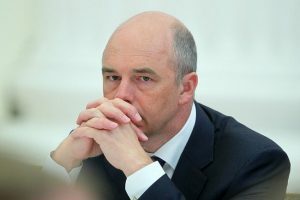 “That is why we need a lower budget deficit: no wide-scale privatization is planned, we won’t borrow much on external market, and moreover an extra inflow of foreign currency could lead to the rouble firming,” he said.